A recent screening of a film about Oscar Romero affirmed that the newly canonized saint continues to inspire the area’s Latino Catholics. 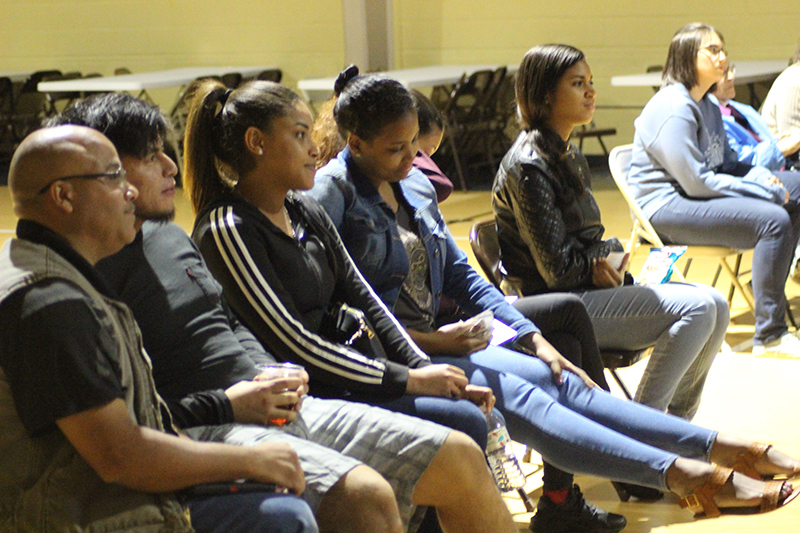 More than 50 attendees gathered Oct. 12 at Holy Innocents Parish in Philadelphia to watch “Romero,” a 1989 movie that recalled the martyred archbishop’s journey from privileged cleric to outspoken advocate of El Salvador’s disenfranchised. As archbishop of San Salvador, Romero defended the poor while calling for peaceful solutions to El Salvador’s ongoing civil war. His outreach placed him at odds with both government and guerrilla forces, and he was assassinated by right-wing forces while celebrating Mass in March 1980. Pope Francis canonized Romero, along with Pope Paul VI and five other saints, on Oct. 14. Released by Paulist Productions, the media division of the Paulist Fathers, the 1989 drama starring Raul Julia was said to be the first Hollywood feature film to be financed by the Catholic Church, including the Paulists and the Catholic bishops’ conferences of the United States and Latin America. The movie, which culminates with Romero being shot by a sniper as he lifts the chalice at Mass, prompted both tears and self-reflection among those at the Oct. 14 showing. 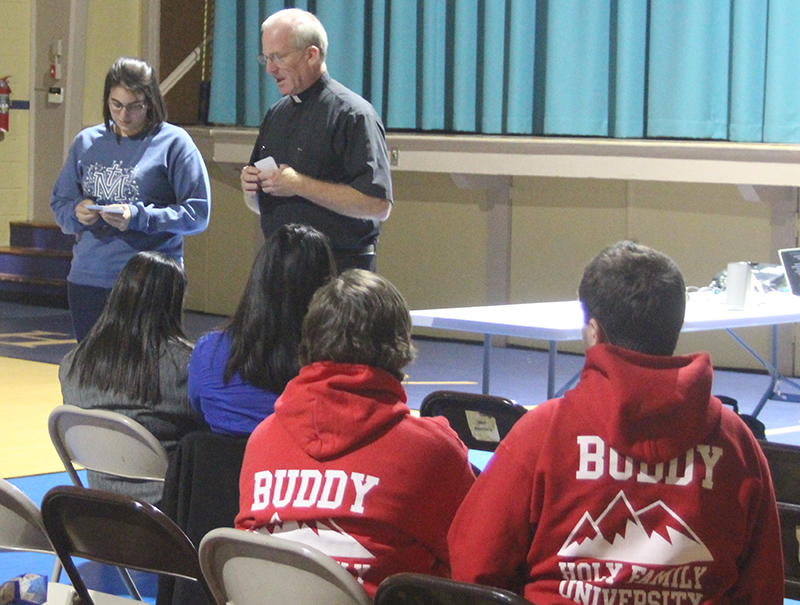 After the film, several attendees shared their thoughts during a discussion led by Father Thomas Higgins, the pastor of Holy Innocents. “I feel like I am called to do the same, to speak for those who are marginalized, because they don’t have the opportunity to be heard,” she said. Jesus Burgos, who leads young adult groups at St. Veronica, St. Hugh and Holy Innocents Parishes in Philadelphia, noted that Romero serves as a model for priesthood. Father Higgins revealed that Romero’s witness had influenced his own decision to work with Latino Catholics. “Romero was a big inspiration in my life, and I like to say that he’s one of the reasons I’m here today,” he said. Romero’s unwavering commitment to the Gospel, which transcended political and social conflicts, remains particularly relevant, Father Higgins added. Maria Alicea, a parishioner at Holy Innocents, said that Romero also demonstrated how to listen effectively to discern others’ needs, a practice that can help resolve conflict in any country or culture. You should mention that Jesus Burgos is studying at St. Charles Bortomeo Seminary for ordination to the Diaconate. He is not a seminarian as usually understood; that is, not preparing full time for the priesthood. I am Jesus’ mentor deacon and I am sure he would have wanted the interviewer to know that. He and his wife are faith filled Catholics and are doing good things for the people of God.